Because I'm Puerto Rican, people often assume that Latin food is my favorite. It's definitely very high up there, and I do tend to cook with those kinds of flavors and ingredients often, but the truth is that given the choice, I'm more likely to pick Middle Eastern dishes and flavors. I love garlicky yogurt sauces, beautifully seasoned lamb, tangy cheeses, and crispy fritters. I go wild for desserts flavored with rose and orange blossom or drenched with honey syrup. I think Turkish delight is as delightful as the name promises, and am obsessed with chewy Lebanese ice cream. I garnish my savory dishes with sweet dried fruits and toasted nuts. My pantry is filled with jars of sumac, za'atar, aleppo pepper, pomegranate molasses, and harissa. 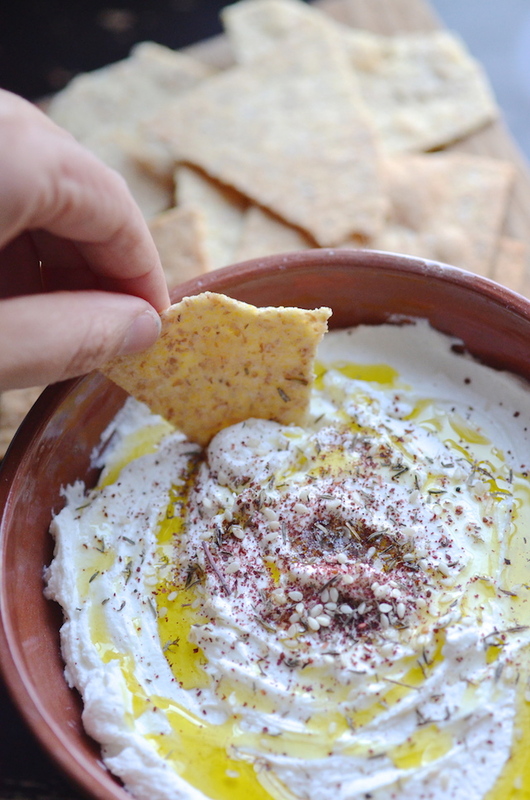 One of my favorite snacky treats is labneh--a yogurt "cheese" made from thick, strained yogurt that's been seasoned with a bit of lemon and salt. It's simple to prepare--simply whisk together the three ingredients, and then let it drain overnight in a cloth-lined sieve. 12-24 hours later, and the yogurt has thickened into something luscious and spreadable. You can enjoy it right then, but upon recommendation from one of my favorite chefs, Chef Philippe Massoud of Ilili Restaurant here in NY, I then whisked it until light and shiny. 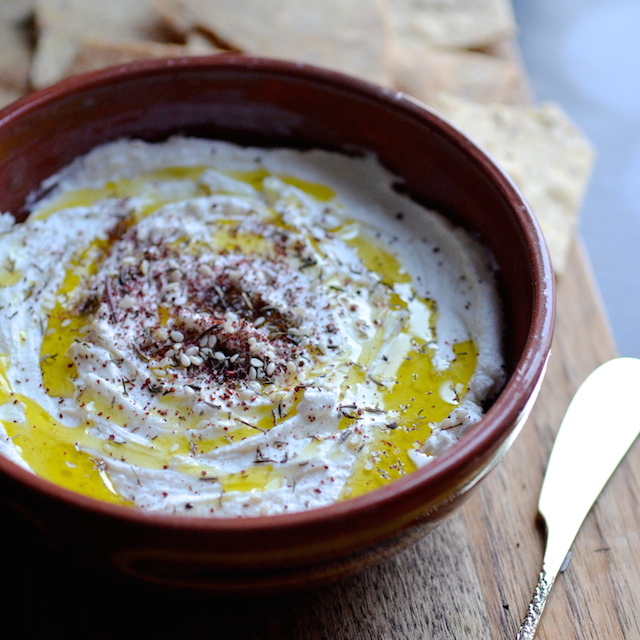 As a savory dip, top it with very good oil and a generous sprinkle of za'atar later, and it's absolutely perfect. A wonderful alternative to hummus or guacamole or any other dip. I also love it sweetened with honey or rose-flavored syrup and slivered almonds. Labneh can also be used in other ways--try spreading it into a sandwich or on warm toast, dollop it over braised meat or soup, and you can even bake with it or serve it alongside a simple cake or other sweet treat. It's beautifully versatile, and easy to prepare. 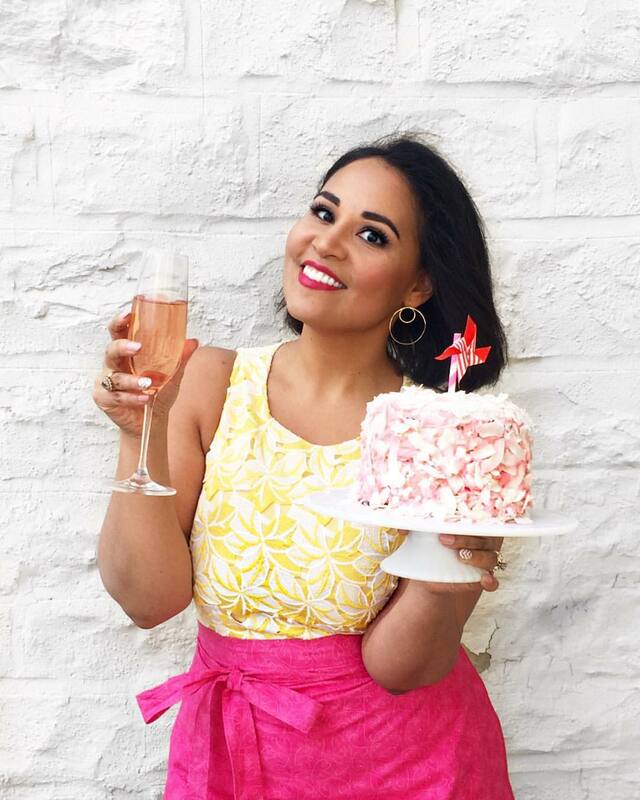 If you're anything like me, I suspect that once you make it for the first time, you'll be tempted to do it again and again! 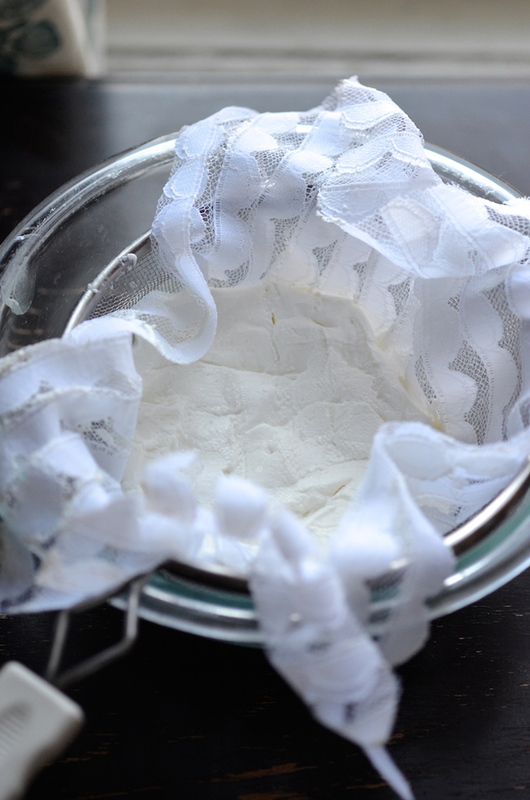 Place a sieve over a deep bowl, and line with cheesecloth or other loosely-woven cloth so that it overhangs on the sides. 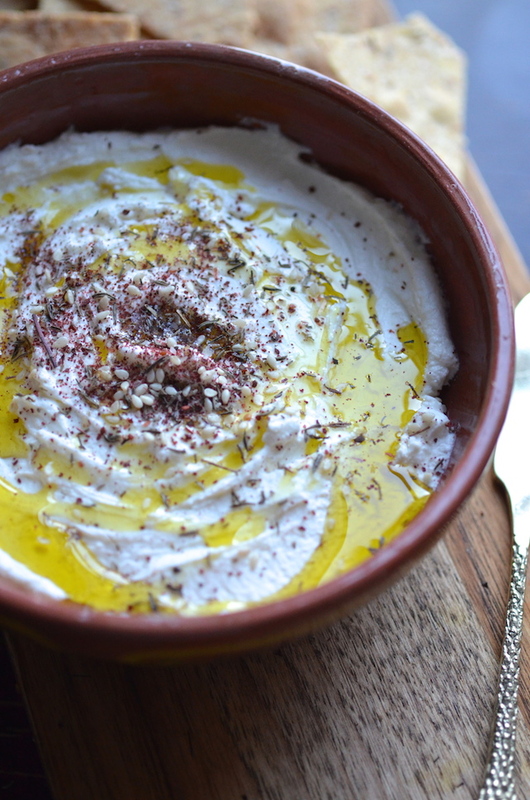 Once drained, flip the labneh out into another bowl (discard the liquid (whey) or use for marinating meat!) and whisk it by hand for a couple minutes until light and and shiny. This makes it exceptionally creamy and luscious. You can technically skip this step, but it's really worth the extra effort...I promise! Garnish it as desired and serve. Ingredient Note: You can definitely use regular plain yogurt instead of Greek, but just keep in mind that this kind has more liquid in it, so it'll take longer to reach the thick creamy consistency + you'll also end up with a bit less of the final product than if you start with Greek yogurt, which has already been strained.